I didn't think this book could possibly live up to the hype but it really is a delightful read. A reminder that life has a funny way of turning around and working out but not the way we'd planned. Fans of Guernsey Literary and Major Pettigrew will especially enjoy. No reading group should be without this companion guide to Gabrielle Zevin's novel, The Storied Life of A.J. Fikry. 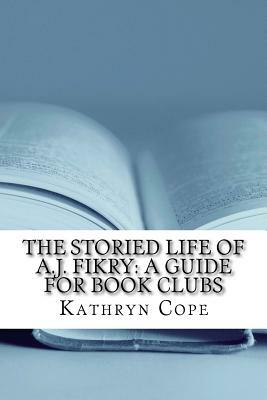 A comprehensive guide to this contemporary bestseller, this discussion aid includes all the information you need to get your book club discussion going: useful literary context; an author biography; full plot synopsis; themes; character analysis; discussion questions; recommended further reading and a quick quiz.